Saxifrage Russell ("Sax") was an important member of the First Hundred, the ideological founder of the Green movement and the spearhead of the terraforming effort. Originated from the United States of America, he began his career as a physicist specialized in sub-atomic physics but he came to study a great number of other scientific fields, biology in particular. He went from being the archetype of the cold and apolitical scientist through changes brought by a scarring incident and a paradigm shift made to developing an emotional side and being interested in the social sciences. Sax was born in the mid-1980s (1986?) in Boulder, Colorado, United States. As a youngster, he played basketball. Among his peers he became the archetype of the scientist solely focused on his work while his limited social life made it difficult for him to relate emotionally with others or even basically comprehend motives beyond the scientific. He obtained a Ph.D. in physics. Sax took part in the final selection and training to be part of the First Hundred in Antarctica. During a hike with Phyllis Boyle, Sax fell down a crevasse and witnessed lichen, signs of life in that deep and hostile environment that touched him greatly. It was at Antarctica that he and Ann Clayborne experienced a fleeting romantic moment, however that went no further partly because of their diverging views on the terraforming of Mars; this aborted relationship would have lasting effects on the rest of their lives. Despite his emotional detachment, Sax was successfully selected in the First Hundred colonists of Mars. During the voyage to Mars aboard the Ares, many members of the First Hundred confess to having bent the truth or having lied on the psychiatric evaluation questionnaires in order to increase chances of success. In a moment revealing of his character, taking things at face value, Sax replies with complete honesty that he did not fiddle with the tests. On the Ares Sax and Ann began their lengthy, life-long debate over terraforming, marking the foundations of the great political and moral divide between Greens and Reds. During the construction of Underhill, Sax and Spencer Jackson were the leaders of the scientific team that developed the colony's chemical and industrial installations. Sax and Ann had a particularly heated debate on terraforming that thereafter became famous. Sax promoted terraforming, believing it would be the one process that would give Mars a meaning and a soul. It would allow people to live on the surface and not hide underground to protect themselves from the radiation, it would be the biggest science experiment ever. This televised debate made a Green leader out of Sax, and a Red leader out of Ann on two worlds. Sax estimated the time necessary for terraforming at 100 years. From the first years, Sax was dreaming of open-air rain forests on Mars. While at Underhill Sax surrounded himself with people that believed they should make terraforming a reality. Sax shared rooms with Hiroko Ai's Areophany team. Following on an idea by Hiroko, Sax, with Vlad Taneev, was behind the illegal creation of algae-containing windmills, which were released in the Martian surface, before the approval by UNOMA on terraforming efforts. When the truth was exposed it created great controversy and might have forced the hand of UNOMA to approve of terraforming. When the Areophany went into hiding, Sax was the only person of the outside world they contacted. He was described by Michel Duval, following his classification of character in a semantic rectangle, as a phlegmatic, presenting stabile and introvert characteristics. Sax perceived that terraforming would be best achieved through genetically-modified organisms and massively released biomass. He studied biology in Vlad's new biotechnology headquarters in Acheron Fossae. John Boone worked under him for many years and they became good friends. In the 2040s, Sax was assigned to be the head of the terraforming effort by UNOMA. He convinced them to build the terraforming headquarters of Echus Overlook, at Echus Chasma. Sax arranged for all the sun-sails from Earth to be used as mirrors in Mars orbit; he arranged for the digging of moholes, the release of heat from nuclear power plants, the capture of the atmospheric CO2. He was blamed for the Great Storm that lasted three M-years, as a result of the terraforming process. He devised what came to be called the Russell cocktail, a mix of greenhouse gases to heat the atmosphere. When the aging treatment was discovered, Sax leaked it to the Areophany team. Sax had an Amor asteroid found, Amor 2051B, had it fit with rockets, and burnt through the atmosphere for its release of water. He, like many of the First Hundred, attended the Olympus Mons festival to witness the fall of the asteroid. Terraforming was all he cared about. In the UN Mars Treaty negotiations in Burroughs, he pleaded for larger investment in terraforming. During the First Martian Revolution, Sax perceived that the powers that be had decided the First Hundred should be eliminated. Despite the despair of those close to him, like Nadia and Ann, Sax was excited of some of the destruction that was caused by the revolution: the burning of Phobos enriched the atmosphere and many aquifers were broken and their water was released to the surface, accelerating the creation of a water cycle. He was rescued by the Coyote and Michel and was brought to Zygote. Sax joined the Martian underground and lived in Zygote, and then Gamete. He was a teacher to the ectogene children and Sax always tried to answer their endless string of "hows" and "whys". In 2101, Sax underwent plastic surgery and returned to the surface world undercover as Swiss biologist Stephen Lindholm. He worked in the Praxis affiliate Biotique in Burroughs, in botanical design. During that time he had an affair with Phyllis, who eventually recognized him and turned him in. Sax was taken to Kasei Vallis, a very low-profile high-security settlement, where he was tortured. He was hastily rescued by the underground, which resulted in Maya killing Phyllis. As a result of the torture and extraction his brain was damaged, his face was deformed and his speech was lost; he recovered slowly with medical and psychological help. Along with a longevity treatment, synaptic stimulus, growth hormones and chemicals injections, he was given a brain plasticity treatment -- effectively, he was grown a new brain -- and suffered through non-fluent aphasia. Through his healing, he and Michel became close friends. The effort to make coherent phrases was frustrating but Sax tried on and for many years he kept a certain dyslexia. He held a grudge against Maya for killing Phyllis for a long time. During his recovery, he cried at the sight of lichen thriving on the open air, while at the same time he could not formulate his thoughts in words. Throughout the years he developed a more emotional side (some might say schizophrenia) which could be attributed to the incident and the brain plasticity treatment -- though it might have been the result of an internal process as well. He grew politically engaged. He took part in the Dorsa Brevia Conference, where he argued for a quick revolution followed by the completion of terraforming, and where he publicly argued with Ann, again -- only now he seemed to be really listening to her and to arguments contrary to his own. His green views became less radical until he became a partisan of stabilization when mean surface temperature would exceed freezing; he became an advocate of ecopoesis. With Peter Clayborne, he shot down the solar lens that was melting Martian surface. With Peter and Bogdanovists he installed drillers and guidance jets on Deimos; Deimos was freed of Mars's gravity and could no longer be used as a weapons platform. He planted seeds of a fast propagating lichen around Kasei Vallis. As metanational police took down the underground, Vishniac remained secret. There, with Spencer, he initiated and led all the efforts to create weaponry as he did not want this revolution to fail like the previous one because of lack of coordination. He reconstituted the old Echus team and coordinated industrial effort from Da Vinci Crater, earning the nicknames "Gerenal Sax" for him and "saxaclones" for his team. He was shocked to hear of Hiroko's potential demise with the burning of Sabishii. As soon as the Second Martian Revolution began, the Da Vinci surface-to-space missiles took out 80% of the metanational sattelites. The lichen he had planted were responsible for the complete burning of Kasei Vallis. The breathing masks from Da Vinci crater helped the rescue of the entire population of Burroughs as the city flooded. After the liberation of Mars, Sax negotiated a deal with Ann to remove the soletta, in exchange for which Ann would convince the Reds#Kakaze to cease fighting and deal with a native Martian government. He participated in the constitutional congress at Pavonis Mons. During her first term as Martian president, Nadia became very fond of Sax. He was one of the Martian embassadors to Terra, where he espoused his ideas on a new enduring social order for the future of the human civilization. Shortly after the revolution, Sax became stranded during an unexpectedly strong blizzard. He was rescued by Hiroko, although Desmond and Michel later attempted to convince him that the sighting of Hiroko had been a trauma-driven hallucination. The belief that Hiroko was still alive became an obsession to Sax; Nirgal later came to believe him as well. He settled in Da Vinci and worked in an aerospace co-operative. He befriended Bao Shuyo and studied mathematics and meteorology. He became concerned about and attracted to Ann, who was increasingly suicidal and more and more prone to depression. He desperately tried to approach her for decades. His system of values was flexible enough for him to be accepted even by late-generation Martians such as Zo. After Michel's death he intensely studied brain chemistry in the late 22nd century to solve the memory loss problems, what he believed to be the worst aspect of the quick decline. He created a memory treatment that would restore weakened memory recall, and he organized a meeting of the remaining First Hundred in Underhill to test the treatment. There, he and Ann finally realized they were in love, and after traveling together for some time, they eventually settled in Odessa, where they spent together the last years of their lives. In The Martians story "Sax Moments", Sax is shown to develop a liking for the ideas of German philosopher Friedrich Nietzsche. Sax is named after the plant genus saxifraga. This small flower-bearing plant is typically found in arctic-alpine ecosystems and it is encountered several times in the Martian landscape in the course of the Mars trilogy. The origin of the name is "stone-breaker" (saxum "rock" + frangere "to break", Latin) since saxifrages often grow in cracks of rocks and can erode them to the point of splitting them (Saxifraga in Wikipedia). Interestingly enough, Sax Russell's life purpose throughout a major part of his life was to terraform Mars and thus, through the effects of artificially introduced water cycle and biota, crack the rocks of the old Mars and change the face of the planet. 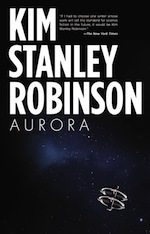 Kim Stanley Robinson has mentioned in interviews that the character of Sax, and in particular his ever-curious scientific traits, were inspired by his wife Lisa Nowell: "Sax is somewhat modeled on my wife. It's true. I love Sax" "She is the Blue Mars Sax I think." (Events In Extropia, January 17, 2009).